If it weren’t for the gala, this would be the headline silent screening of the festival. Frank Borzage’s celestial romance starring Janet Gaynor and Charles Farrell, in a sumptuous new restoration taken from a nitrate print and accompanied by live music. Silent cinema bliss, and I highly (geddit?) recommend this one. However, this is my pick of the silent features at this year’s London Film Festival. Fridrikh Ermler is a lesser-sung master of Soviet cinema, and this is one of his most haunting, brutal films. In Fragment of an Empire we follow Filimonov, a man suffering terrible amnesia following an injury in the First World War. A decade later, as he begins to remember his past life, he returns to his home city of St Petersburg only to be baffled by the post-revolutionary Leningrad he finds instead. It’s a brilliant work, showing here in a gorgeous restoration by the San Francisco Silent Film Festival, which does justice to the film’s arresting imagery. Read Miguel Pendás on Fragment of an Empire. A little star power? Marion Davies shows off her considerable comic chops in this delightful feature comedy set in Old New York and directed by Monta Bell. In Lights of Old Broadway, Davies plays twins, separated at birth, one raised in high society and the other in the slums. The background to the film is the electrification of Broadway – and the dazzle of those bright lights and theatreland itself is represented by bursts of early colour process film. A real treat, this one, which I very much enjoyed in Bologna. The film will be preceded by a Kinemacolor short, Percy Smith’s Varieties of Sweet Peas (1911). 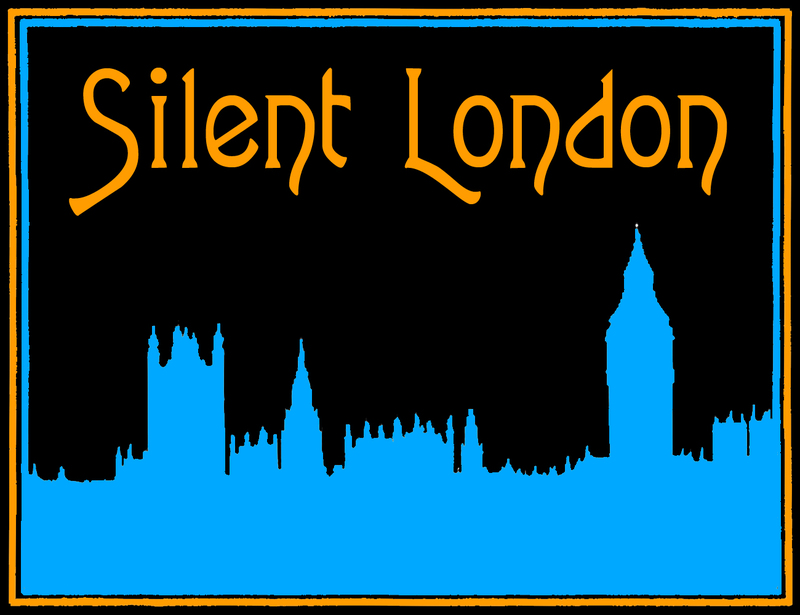 Silent London has been following the progress of this important film for years – from crowdfunding to finishing touches. Alice Guy-Blaché is a crucial figure in film history – a true pioneer, and a female pioneer too – who supported other women in the industry as well. This documentary, narrated by Jodie Foster, should be a must-see. Well, you know what they say about the proof of the pudding. Plays: 16 October 2018, BFI Southbank and nationwide, with Peter Jackson in conversation with Mark Kermode. The 3D BFI Southbank screening has already sold out, but you can book for the 2D screening here. You can book for the UK-wide screenings here. Read Luke McKernan on the controversy of colourisation. The new restoration of the sumptuously Dadaist screen ballet Entr’Acte was one of the out-and-out highlights of my Bologna this year. This gorgeous film with a score by Erik Satie demands to be seen on he big screen. Clair’s 1940s comedy is not a silent film, of course, but it is set in a silent film studio in Paris in the early 1900s. Maurice Chevalier plays a roguish film director passing on his wisdom about women to a younger man. Clair made some great silent comedies, so this is definitely worth looking out for. The closing gala of this year’s London Film Festival will be the world premiere of Stan & Ollie, the drama starring John C Reilly as Oliver Hardy and Steve Coogan as Stan Laurel, and directed by Jon S Baird. The film focuses on their long partnership and, I think their tour of Britain in 1953. Very keen to see this one, naturally. Plays: Sunday 21 October, Curzon Mayfair. There’s lots more. You may also be interested in Colette, starring Keira Knightley as the Belle Époque author, Between My Flesh and the World’s Fingers, Talena Sanders’ documentary about the turn-of-the-century author and activist Mary McLane or Robert Greene’s Bisbee ’17, about the deportation of 1,200 immigrant miners from a mining town on the Arizona-Mexico border in 1917. There are new restorations of Alexander Korda’s 1933 royal biopic The Private Life of Henry VIII and Billy Wilder’s Roaring Twenties caper starring Marilyn Monroe, Some Like it Hot also. There’s almost always another silent or two, nestled in the programme somewhere, especially in the shorts and experimental films. I’ll keep my peepers peeled. To explore more of the lineup for this year’s BFI London Film Festival, read the press release or visit the official website here. All the screenings and ticket links are to be found here. I have previewed some of these films in more detail in the October 2018 issue of Sight & Sound, out next week. And watch out for at least one more piece, online soon.